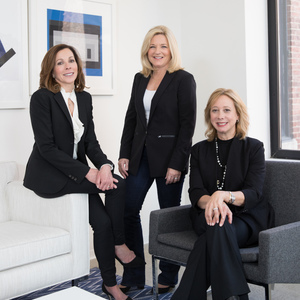 The Donahue Maley & Burns Team is one of Wellesley’s most successful agent teams, consistently ranked among the top-performing agents in Wellesley. Whether you’re buying or selling a home, they can help you get the most for your investment. THEY WORK AS A TEAM. Every client benefits from the unique synergy of their combined expertise in presenting and marketing homes for sale, making intelligent pricing decisions, and competently managing the details behind every transaction. THEY LOVE THEIR WORK. They see buying and selling real estate as a creative process, and they are passionate about what they do. It is the reason they treat every home they buy or sell with their clients as if it were their own—and why they invest so much of their time, energy, and resources in every transaction. CONCIERGE SERVICE. The Donahue Maley & Burns Team offers a unique end-to-end Concierge Service, which enriches all aspects of their client’s real estate experience. They are able to provide a wealth of value to their clients by providing access to the best architects, contractors, interior designers, insurance agents, movers, inspectors, bankers and much more. They have vetted all of their partners to make sure they are as dedicated as the team is in providing the highest level of customer service, attention to detail, courtesy and discretion. From start to finish, their clients are the priority. They listen, learn, and gain a true understanding of the unique objectives of each person so that they can provide the best path for achieving those goals. Whether buying, selling or simply exploring the market, they offer 24/7 accessibility, vast knowledge about the communities they represent, and unrivaled negotiation skills. These are the hallmarks and the foundation for how they conduct business. With nearly $400 million in sales, they continue to exceed expectations, one client at a time. Call or email them with any questions or when you’re ready to make your move. They sincerely look forward to working with you!